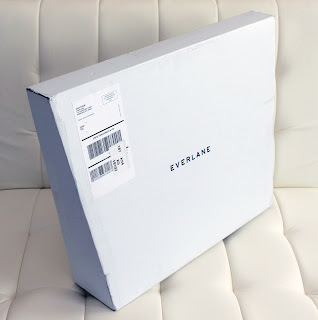 Clearly I am a repeat shopper at Everlane as I have previously reviewed their weekender bag, U neck and V neck t-shirts, and short-sleeved sweatshirts. 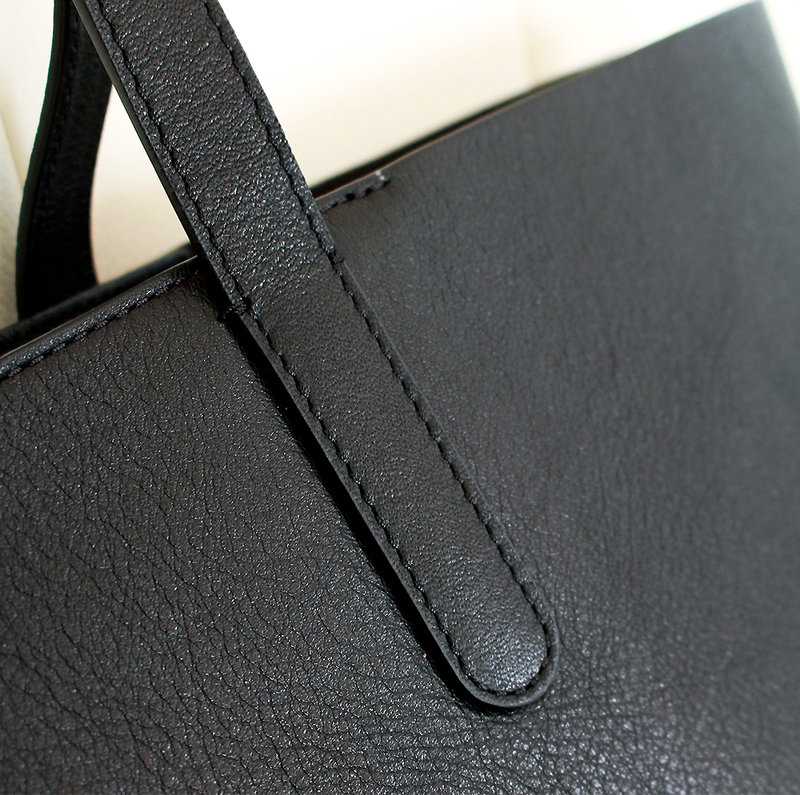 Today I bring you my review of the leather Everlane Petra Market Tote in black. 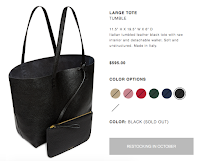 I was back and forth about purchasing the Petra tote for well over a year -- mostly due to the $365 price tag for a simple leather tote. 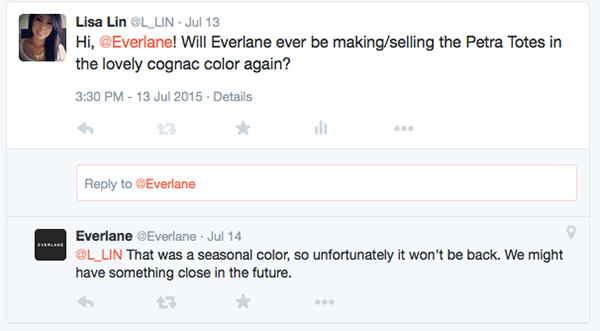 I first became interested when they introduced the beautiful cognac color; unfortunately, that seasonal color was no longer being sold when I finally committed to purchasing the Petra Market. 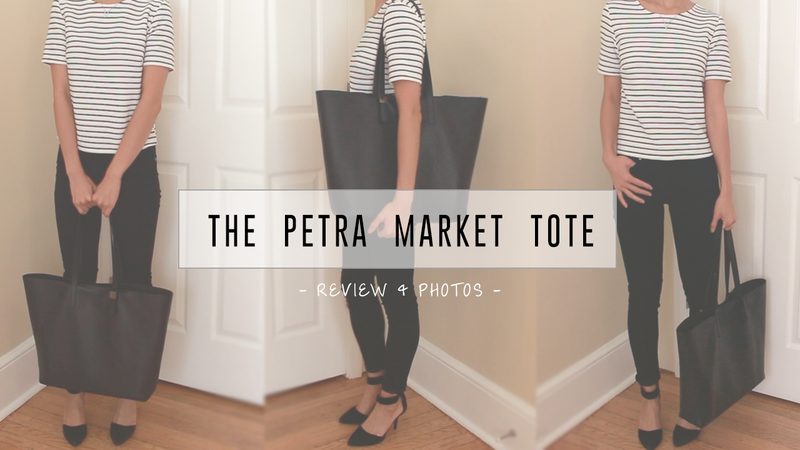 I ultimately decided on the black Petra Market tote since it's a timeless color that pairs easily with the majority of outfits. 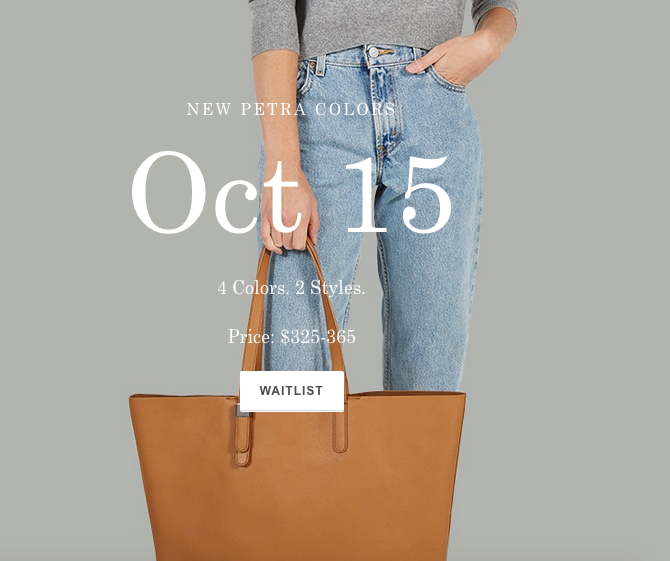 Everlane has since released 'coming soon' photos of new Petra fall colors that will be available on Oct 15. If I hadn't already purchase the black tote, I would totally go for this beautiful camel brown below. 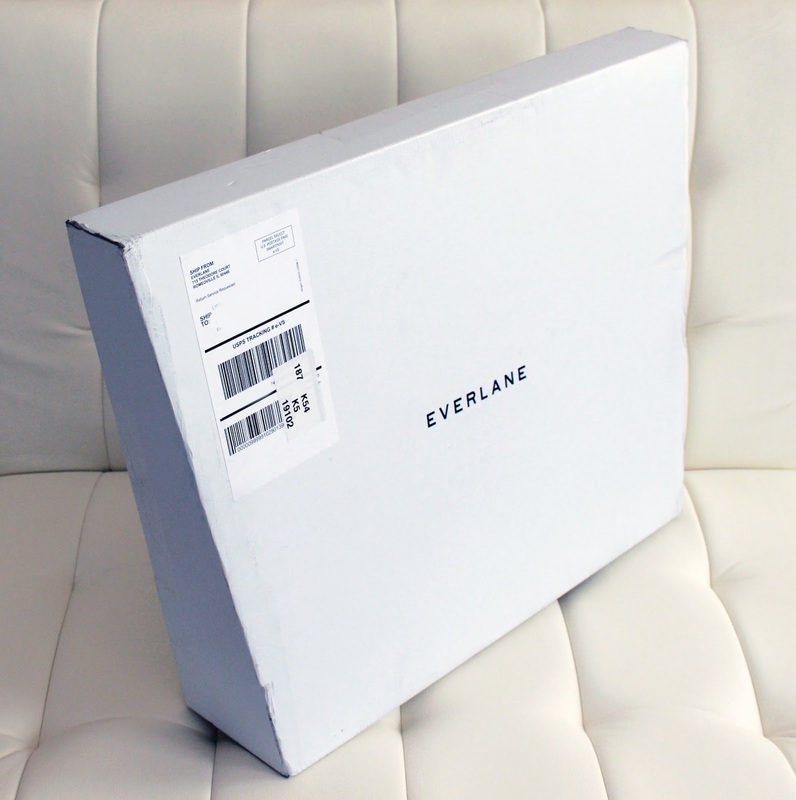 Now before I get into the actual review of the bag, I have to share my experience with receiving a defective bag and what a wonderful job Everlane's customer service did to rectify the situation. So the tote comes in a drawstring dust bag and has clear protective layers covering the chrome hardware on the straps. 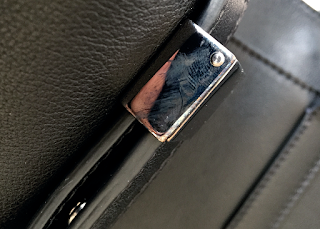 To my disappointment, when unboxing my new bag I noticed an odd tarnish to the hardware as I peeled away the protective plastic covering for the first time. At first I thought I could wipe off the weird tarnish (or whatever it was) since it looked like a fingerprint -- but nope, the stains would not budge at all. It almost seemed like whoever handled the hardware had some kind of chemical on their hands since the photo above clearly looks like a fingerprint. 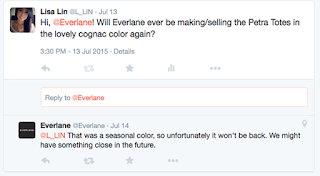 I emailed Everlane's customer service with photos of the hardware but didn't expect a quick reply since it was Saturday morning. But wow, they responded within 15 minutes! The customer service rep informed me the defective hardware is definitely not normal and immediately ordered a replacement bag to be shipped. He also sent me a prepaid shipping label so I could send back the defective bag for their team to look at. Now that's what you call superb customer service. 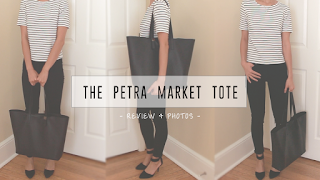 I received my replacement Petra Market tote in a few days, and it was in perfect condition. Now, on to the actual review! I'm personally not a huge fan of bags with extremely visible logos, but this is strictly personal preference. The Petra Market is a bit large for my personal daily use since I don't carry much, but this size is great if you're carrying notebooks, a laptop, flats/commuter shoes, etc. 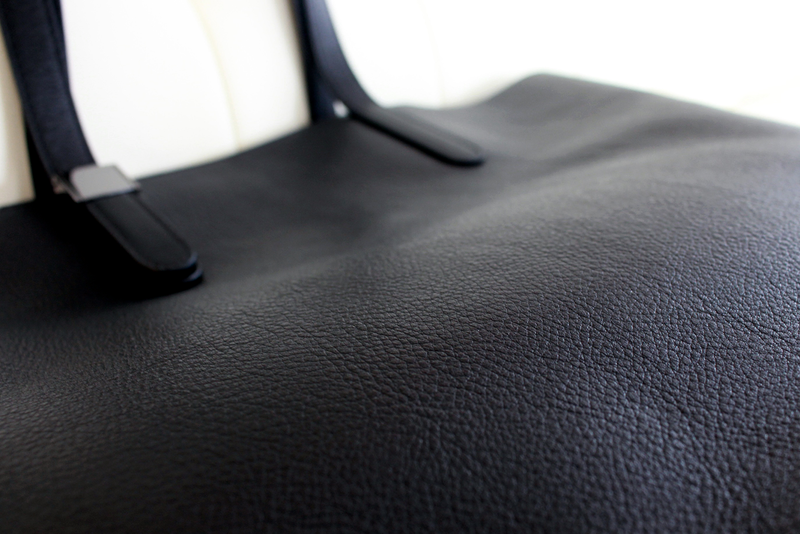 I think the price tag is fair for how much quality leather is used to construct this well-made tote. But it's definitely enough $$$ where I felt the need to really take time to contemplate the purchase. I know most totes are open at the top and I personally rarely zipper up my purses that do have a zipper, but I do use and prefer magnetic clasp closures. This Everlane tote is completely open at the top. 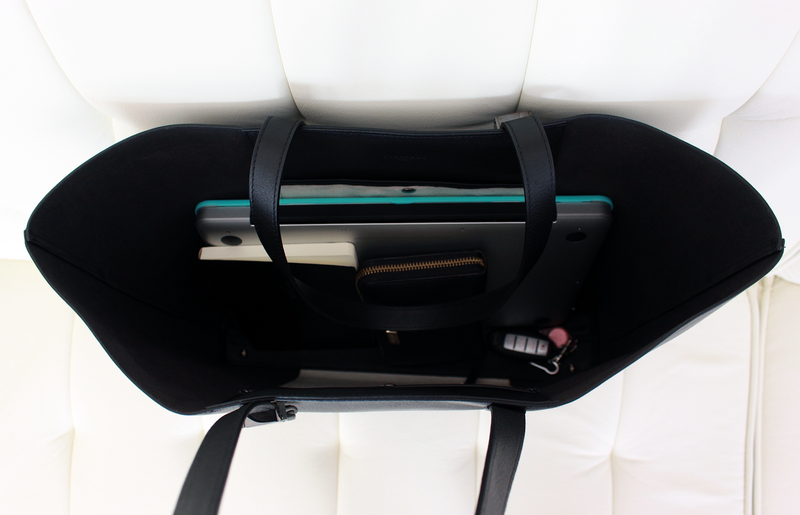 This isn't a huge issue as I carry it on my shoulder so it's safely tucked under my arm and close to my body. 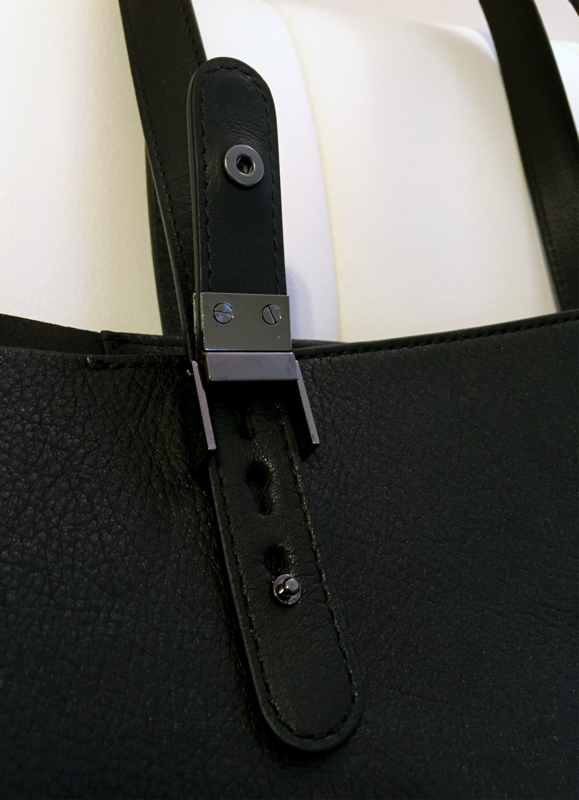 Considering the first Petra tote I ordered had defective hardware, I think Everlane can work on their quality control a bit. This bag has the potential to hold so much! One of the main reasons I kept going back and forth about purchasing this bag was because I never saw it in person and couldn't find any videos online that showed the details of the bag, the quality/texture of the leather, etc. I told myself if I buy this bag, I will post a video on YouTube. I hope this helps someone with their decision! Plain leather totes are sold by a plethora of brands with prices ranging from affordable to slightly outrageous. 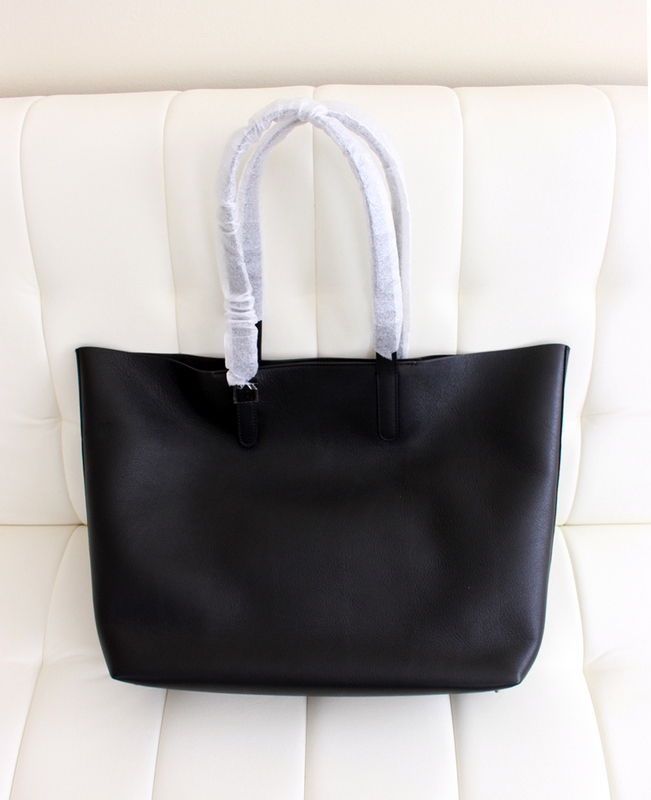 Some other brands with similar style totes include: Mansur Gavriel, Madewell, Cuyana, Tory Burch, Kate Spade, and many more. 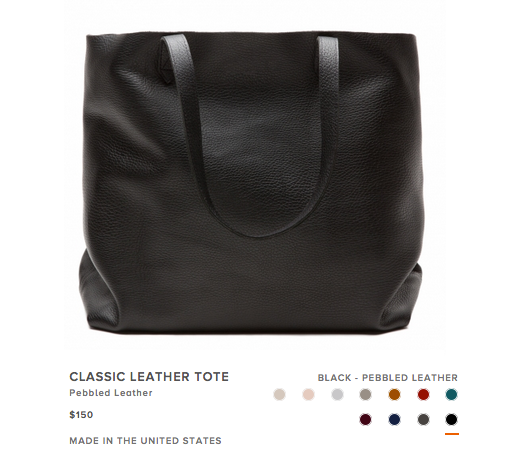 I seriously considered the Cuyana classic leather tote since it's only $150 and available in various beautiful colors, but it's slightly smaller and I personally didn't like how pebbled the leather looked. 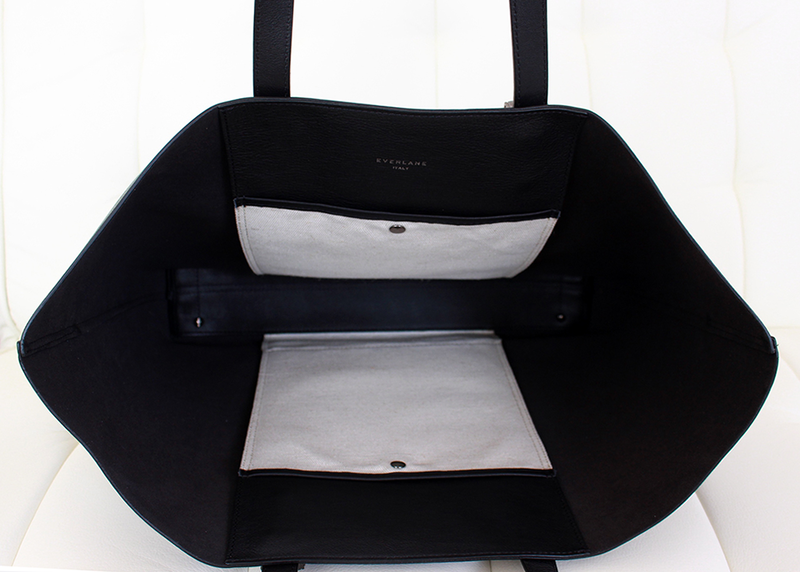 I also prefer the slightly trapezoidal shape of the Everlane Petra over the more rectangular boxy shape of the Cuyana tote. 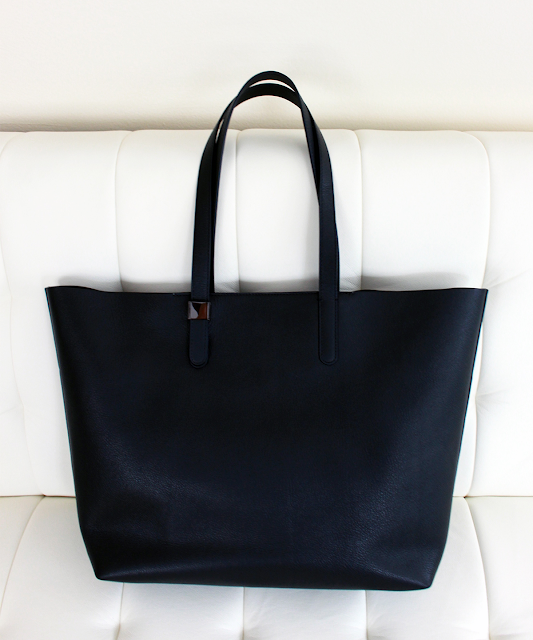 Sidenote: if you're looking for a leather tote with a zipper, Cuyana has them for $195. 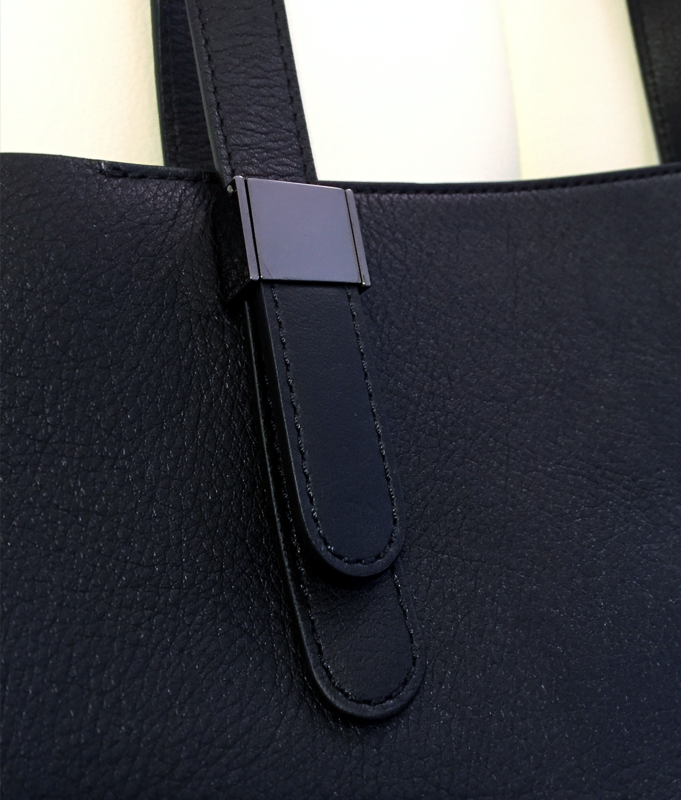 The Mansur Gavriel large tote comes with a small detachable pouch/wallet but is slightly smaller than the Everlane Petra Market, doesn't have adjustable shoulder straps, and has a higher price tag of $595. 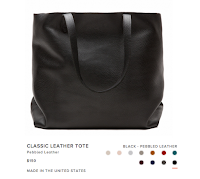 Madewell has a standard leather tote for only $168 which is a great price! Again, this tote is smaller than the Petra Market and has a more rectangular/boxy silhouette. The stitching on the Madewell tote just doesn't look as sleek as the Everlane totes. Tory Burch has a smaller leather tote for $395, Kate Spade's leather tote runs around $298, Ted Baker's version of a leather tote goes for $289, a Nina Ricci shopper tote is $990, and a Mark Cross pebbled leather tote is $1,295. These are all lovely totes but they are generally smaller and have more hardware and/or the logos plastered on the exterior for the bag. I just love how simple, sleek and chic the Everlane Market looks. If you're not looking to shell out too much for a simple tote, there are often similar faux leather options available at H&M and other retailers that often go for less than $50. 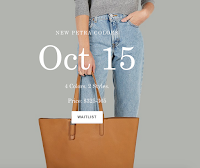 The Everlane site states the "traditional retail" for a tote like the Petra Market would be $1300, and they break down the transparent pricing of their tote to explain how they derived their retail price of $365.While $365 is not cheap, I still feel it is a reasonable price tag for the quality of bag. What I'd like to see is some improvement on the chrome finishes as I have doubts it will withstand the test of time considering I initially received a tote with "faulty" hardware. Only time will tell. 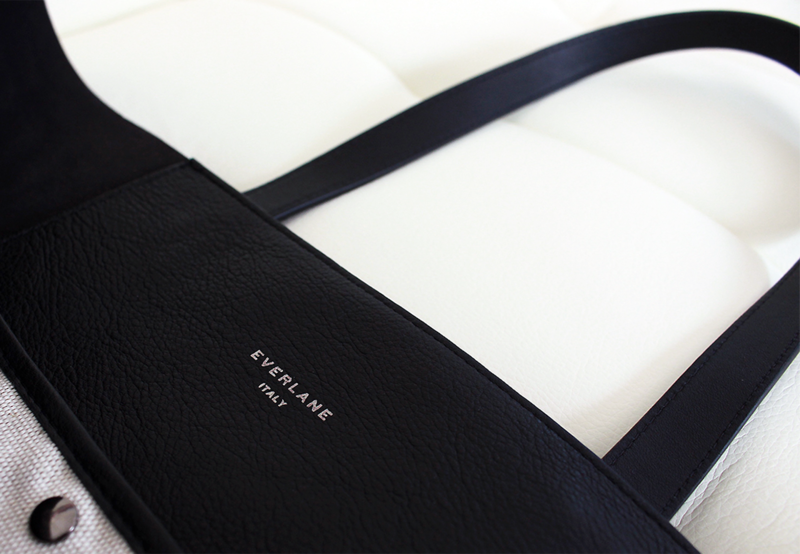 I still need to give my Everlane tote more wear and tear before I can come back and do an update on how it holds up. 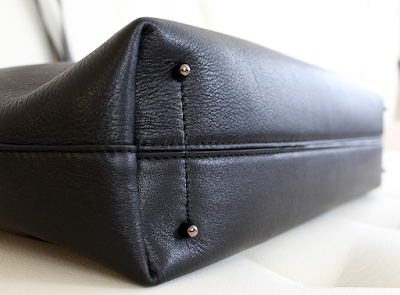 Let me know what leather totes you've owned and how they have fared with daily use! Yay, glad you appreciate the comparisons : ) I always do some extensive research on other options before I drop a few $$$ on something. 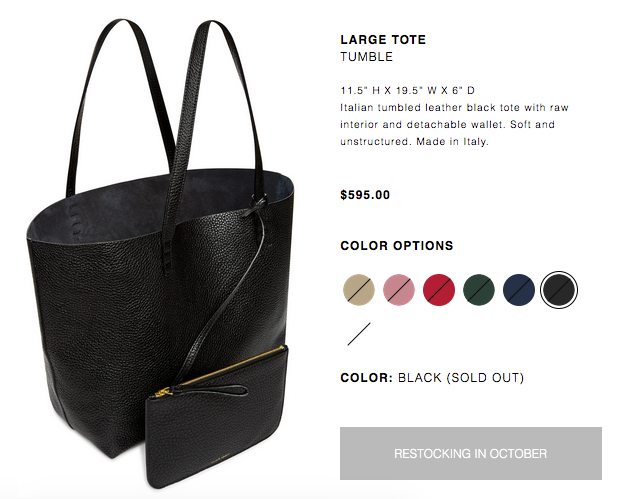 300+ for a tote is quite a lot, but it's a pretty timeless style/color so I hope I'll be using this for years to come! how are the straps? are they too thin where you cant wear it comforatbly when wearing a tank? The straps are a great size for me and comfortable! 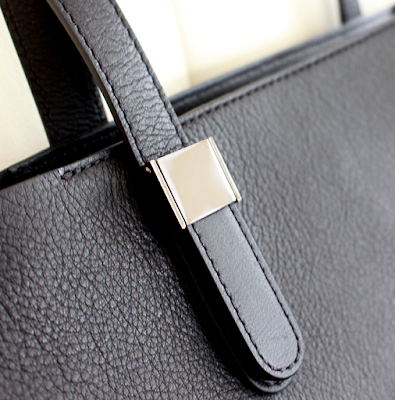 They may seem thin in the photos but that is probably because it's quite a sizable bag and the straps appear thin in proportion to the size of the bag. I haven't work the straps over my bare shoulders, but I'd think it'd still be comfortable as long as you're not filling it to the max. Hope this helps! Thanks for your review. I am on the fence still but will more than likely get this bag. My one concern, is the straps. Do they stay up on your shoulders when walking without holding on to them? I am looking for an alternative to my LV GM Never Full since it is quite old and worn. I don't want to pay $$$ for another one, so I am just looking to have a nice bag to swap it out with every once in a while. The Never Full straps stay on my shoulder during my commute without holding on to it. Thanks in advance! Hi! 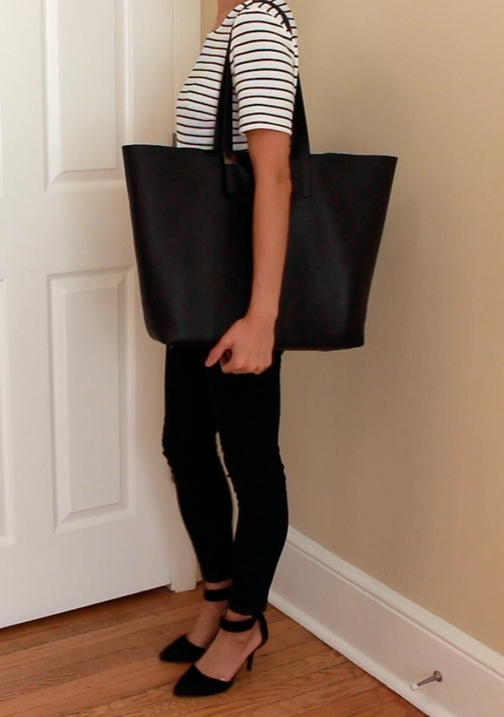 I haven't had any issues with the straps falling off without holding on to them, but someone commented on my YouTube vid of this bag and reported she had issues with that. I think it probably depends on how much stuff you carry? 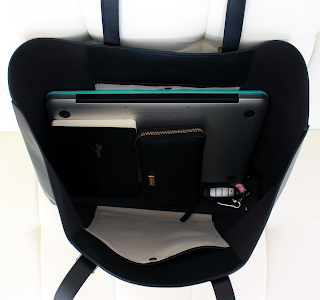 I carry quite a lot in my bag and it's not extremely heavy but has a good weight to it - my straps never slide off. Great! Thanks so much! Can't wait to get it. Hope you end up liking it! I've been using mine daily for months now and still like it just as much as when I unboxed it. 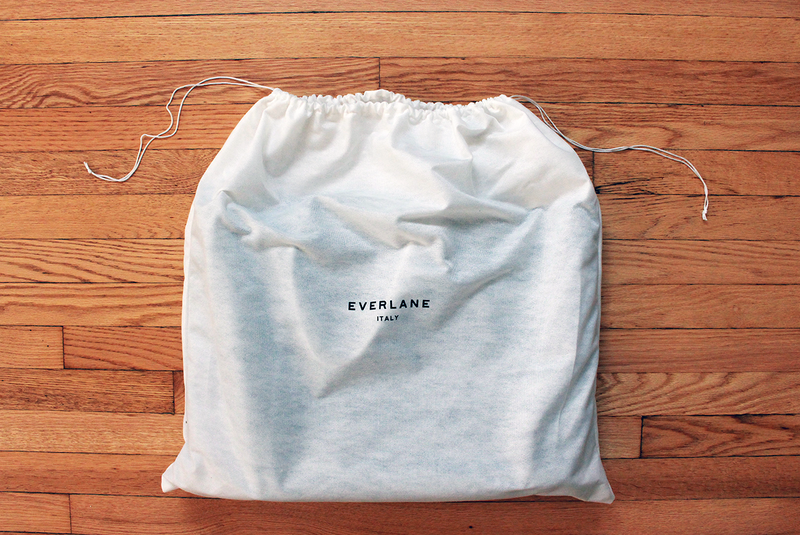 If it ends up not fitting your qualifications for a daily commuter bag, you can always contact everlane and let them know and return it. They have really good customer service from my experiences. Hi! I am interested in buying this style. How has it been holding up for you? Hi! It's held up very well! 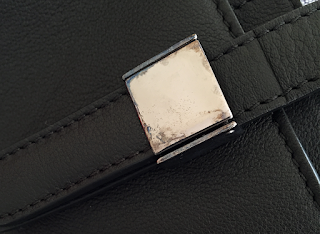 The bag has maintained it's color and has not faded at all. 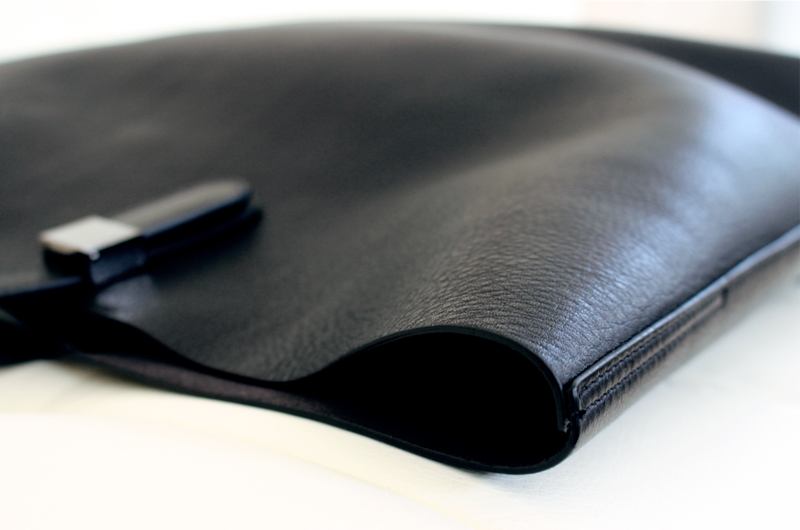 The leather has softened a bit from when I first got it : ) Overall, still a great bag that holds SO much! Enjoy! The width at the bottom is probably about 2.5 inches of I had to guess. The top opens very very wide, though!